Similarly, the engineers often have constraints to bring the system to a predetermined state. For this sake , by adding a control to the system, it is possible that the system will be in the defined state. - posters sessions. Young researchers are welcome to present a poster. There are no fees for people attending the workshop and the lunch meals are taken in charge by the organization. 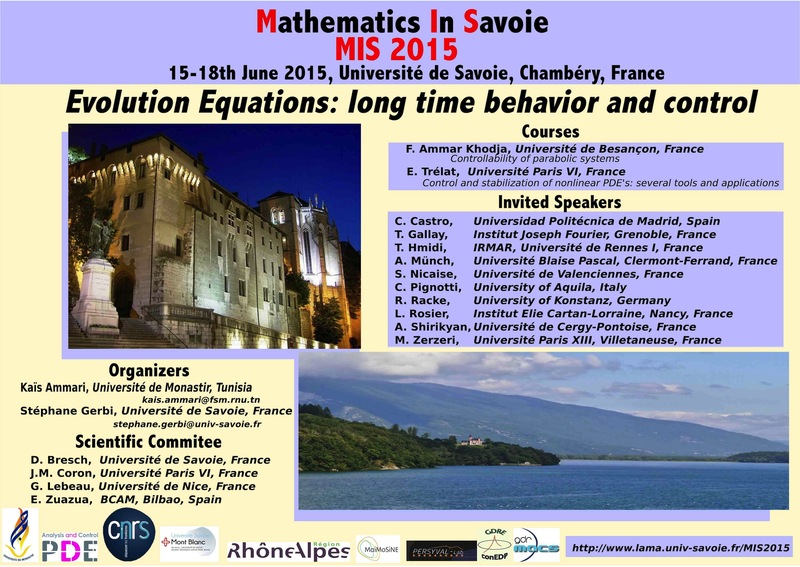 Here is an announcement of a conference in Chambéry.